For patients with missing teeth, a dental implant can provide a highly effective and aesthetically pleasing solution. We offer Invisalign Orthodontic treatment, which is an efficient and comfortable alternative to metal braces. With cosmetics, crown & bridge - our experienced dentistry services can create that perfect smile makeover. Child Dental Benefits Scheme (CDBS) and Dept. Vetereran Affairs Bulk Billing are available for eligible patients. By using our eAppointments scheduling facility you can quickly and easily book your own appointment online. Featuring three modern dental clinics across Bendigo, including McCrae Street, Marong and Strathfieldsaye. At McCrae Dental, our goal is to provide excellent oral health to your family. We accomplish this goal from our first meeting with you, by providing a thorough initial exam that includes x-rays, teeth cleanings, oral pictures, and more. You will be impressed by the friendly, competent staff, along with clean, modern facilities. Our Dental Team in the Kennington area provide treatments for the overall health of your family including general, cosmetic, and preventative dentistry. This means you can work with the same staff for cleanings, orthodontia like Invisalign aligners, dental implants to replace missing teeth, and tooth whitening services. We also perform dental surgeries for emergencies and scheduled procedures like root canals, and wisdom tooth extractions. Visit us at McCrae Dental for a smile makeover. If your teeth have a gap between them, are discolored, or are cracked or broken, we can fix the problems. Applying veneers, implanting teeth, or using aligners, or a combination of all of these, will help us to give you a terrific smile. Veneers are thin sheets of porcelain that are adhered to your tooth. They look and perform like a real tooth. These veneers cover cracks and discoloration. They also help to cover gaps, making teeth look uniform and straight. You can even whiten your smile with veneers. Aligners can be used to straighten teeth without the need for braces. They are removable for eating, brushing and flossing. Implants permanently replace missing teeth. There are so many reasons to choose McCrae for your family’s oral care. A simple call to your local Kennington dentistry to book an appointment is all it takes to discover the differences we offer. We will listen to your smile vision. We will guide you to the procedures necessary to make the smile you desire become the reality you see in the mirror. Dental crowns and bridges can restore and repair your smile if you have damaged, weak or missing teeth. 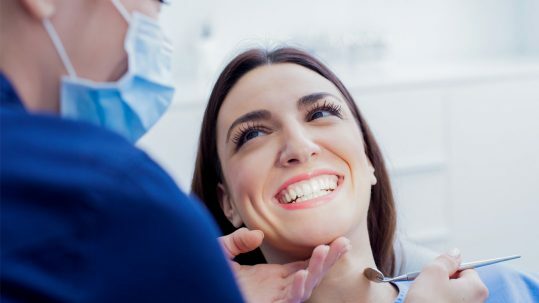 Cosmetic dentistry services can create that perfect smile makeover, including tooth whitening. Impacted wisdom teeth are removed to prevent future complications in a calm and relaxed environment. Dental implants can provide a highly effective and aesthetically pleasing solution for missing teeth. Providing patients with convenient access to dental care in state-of-the-art facilities across three clinics. Our aim is to provide Bendigo with convenient access to the highest standard of dental care inside state-of-the-art facilities. Featuring a trio of modern dental clinics across Bendigo, including McCrae Street, Marong and Strathfieldsaye, there is always a professional, caring and attentive team ready to help with your family’s dental needs. Utilising HICAPs we offer on the spot claiming electronically, allowing for quick and easy use of your health fund card. 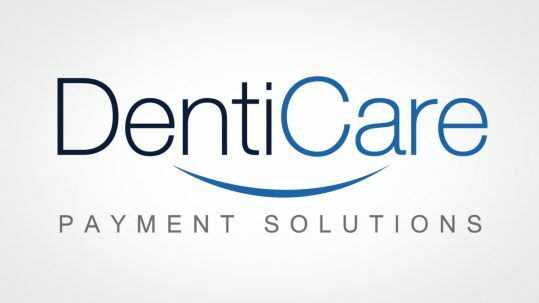 We accept cards from many health insurance providers, which means your health fund pays their proportion of your dental treatment on the day and you only pay the gap fee. We also offer the convenience of payment plan solutions. Our news is dedicated to helping you understand dental care and help you make well-informed decisions regarding your family’s dental health. Learn more about keeping your mouth overall healthy. Check out our latest offers and high-quality treatments. By using our eAppointments scheduling facility you can quickly and easily book online.